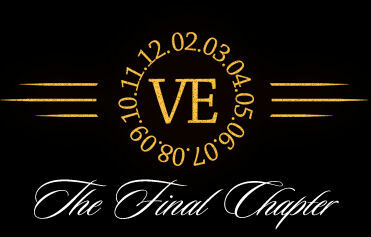 It's been planned for years - now the time is finally here. No, not the end of the world, rather the culmination of years of Stone Brewing Company's Vertical Epic series and soon you can participate in a special vertical tasting at the Falling Rock Tap House on December 12, 2012 (12.12.12). According to Chris Cantrell, Stone Brewing's local rep, the Falling Rock Tap House in Denver is planning to host a local Stone Brewing Vertical Epic Ale Final Chapter event to coincide with Stone Brewing's celebration at the brewery in California. Fans will be able to participate in one of two ways. The first will be upstairs at Falling Rock at 1:12pm MST on December 12th with a flight tasting. Falling Rock will be selling tickets for this and there will be a limited number available. The second way is to participate in a food pairing event with the Epic ales downstairs at Falling Rock the same day at 6:00pm MST. Stone Brewing will have a regional manager attending and another local rep involved in these celebrations along with quite a few industry people. Tickets for this will also be limited. Quite the line-up, eh? Yup. We think so too, but save your pennies up fans, this ticket may cost a bit. Price: TBA. Stone Brewing's Colorado Facebook page will soon be updated with specific details on how you can get tickets and try an entire flight of these Epic Ales. In addition, the Stone Brewing website's Vertical Epic page will also show details of all the other celebrations planned throughout the USA. At the time of this posting, the Colorado event details were not listed, but will be soon. For more details, check out Falling Rock Tap House or stay tuned for updates here on FermentedlyChallenged.com. - Stone Vertical Epic 10.10.10 review. 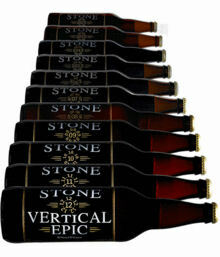 - Stone Vertical Epic 08.08.08 review. - Stone Smoked Porter review.